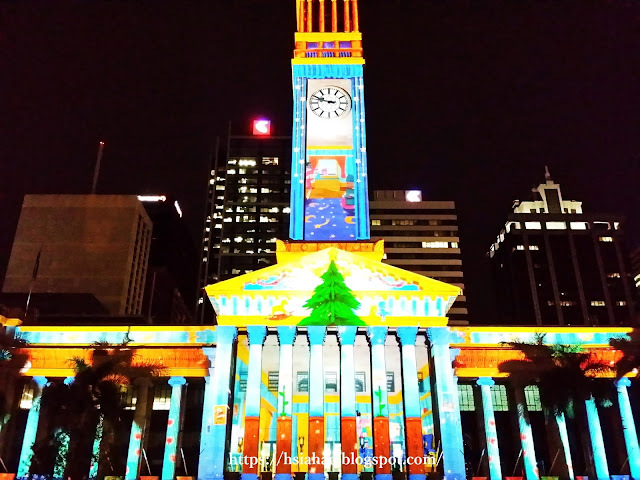 Home / Australia / Brisbane / 『BRISBANE』《EVENT》5 free events for enjoying Christmas and New Year in Brisbane! 『BRISBANE』《EVENT》5 free events for enjoying Christmas and New Year in Brisbane! According to Brisbane government’ report, there are averagely more than 400 events held in Brisbane in December for celebrating Christmas and New Year. There is always a sentence that pops up in my mind, “Why so many events are held in Brisbane?” Now I am going to share some interesting experience and stories for everyone to enjoy this beautiful holiday in this amazing city. 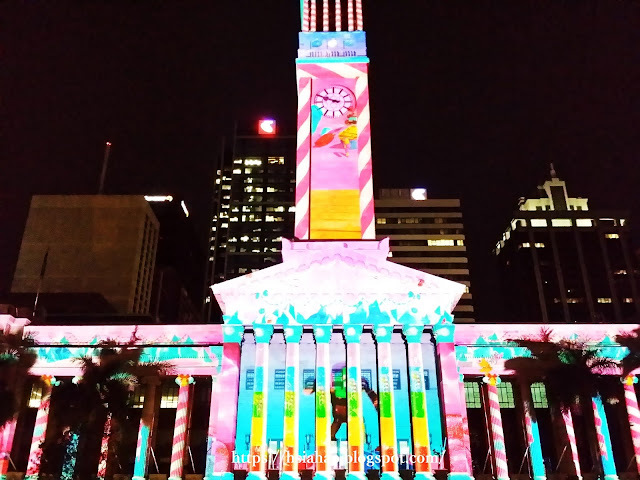 Brisbane city’s “Victory Bridge” lights up with a magical light projection show in December. After the main Christmas tree lights up at the end of November, it means that Christmas is coming! 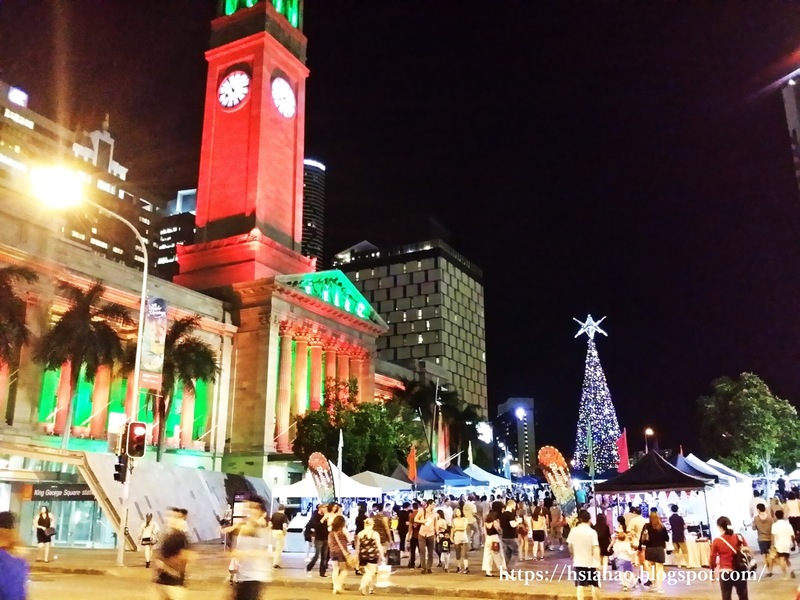 The photo is the” Brisbane Twilight Market” which locates at “King George Square”. This is a 13-day night market where you can buy numerous creative stuffs, well-designed clothes, accessories. 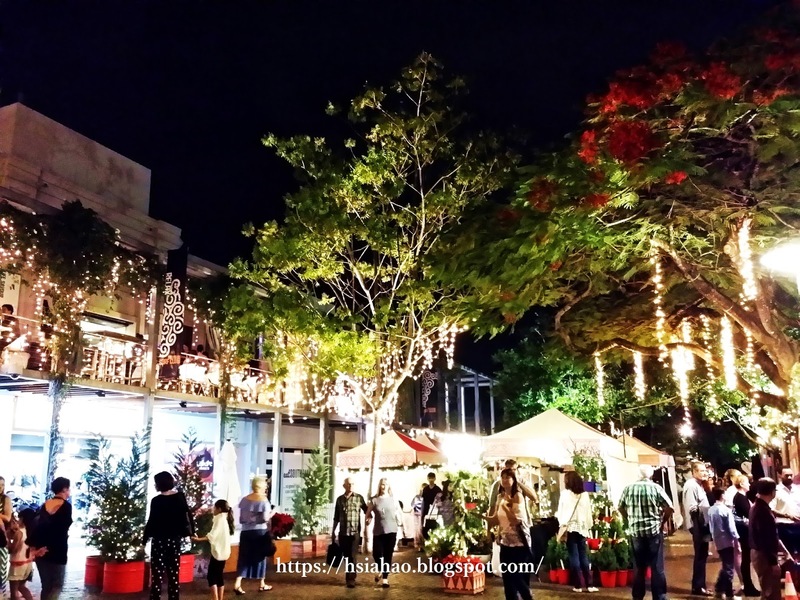 The market is near “South Bank Parklands”, the popular and famous tourist attraction. Moreover, you can also enjoy many delicious foods at restaurants that locate on two sides of this market area. Wow, is it City Hall? 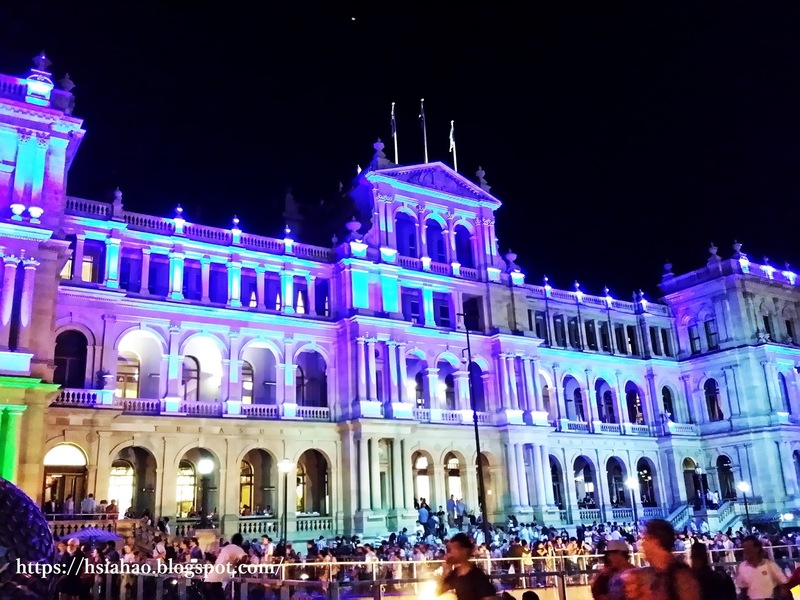 When you travel to Brisbane city, the” City Hall” locates at “King George Square”, near the famous “Queen Street”, is the attraction that you must pay attention on. This is why that Brisbane government wants to take advantage on it to attract tourists’ attentions. Brisbane’s City Hall lights up with a magical light projection show in December every year. The performance takes about 5-8 minutes per round, 4 times per hour until midnight. You can also watch this performance next to the super big Christmas tree at King George Square. 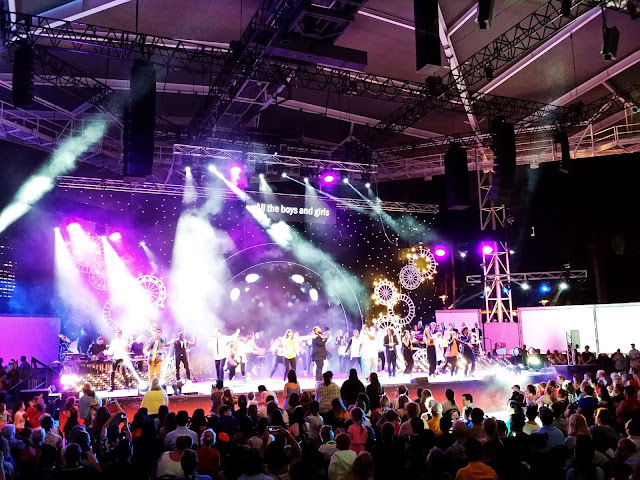 This event is presented by Hillsong Church Brisbane and you can celebrate the wonder of Christmas and enjoy the traditional Christmas carols with native Australian. 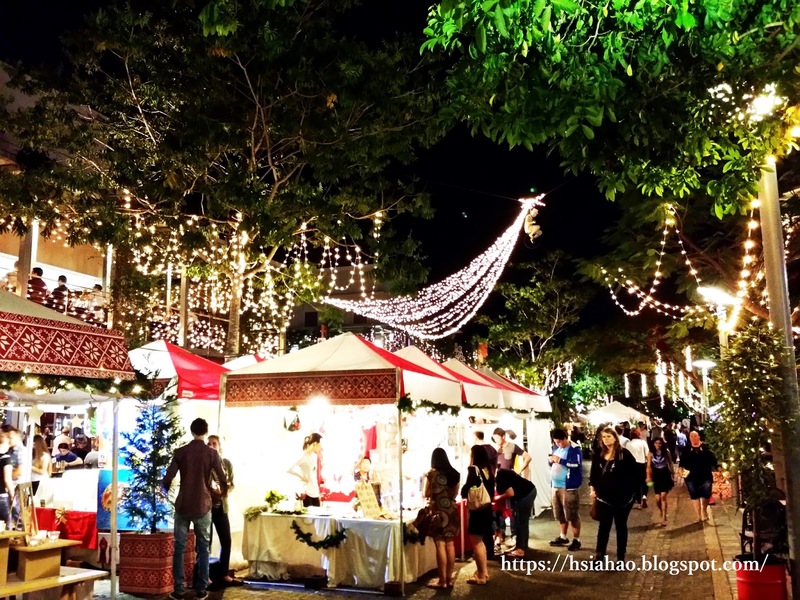 It is a fantastic chance for non-native tourists to understand several stories of Christmas. After taking part in South Bank Christmas Carols, you can lay down on South Bank Beach (Lagoon South Bank), enjoy the night view of Brisbane city, watch Christmas-related movies and fireworks at the same night because it is the series events with the former one (South Bank Christmas Carols). 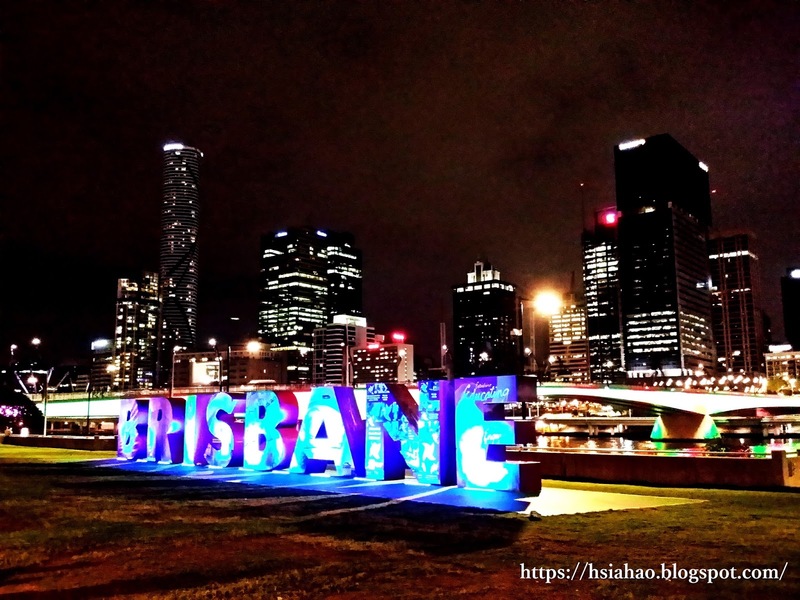 I am sure it would be your unforgettable memory in Brisbane. Just walk approximately 2 minutes and you can arrive this beach where you can enjoy the event after seeing “South Bank Christmas Carols”. 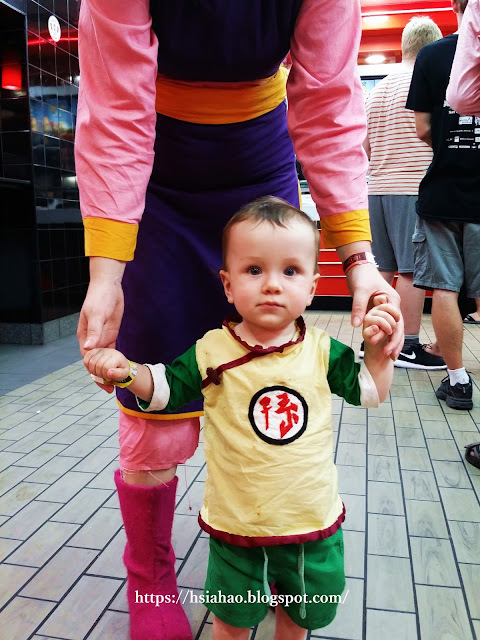 I saw “Gohan” and “Chi-Chi” from Dragon Ball which is a really classic and worldwide comic. Merry Christmas & Happy New Year! 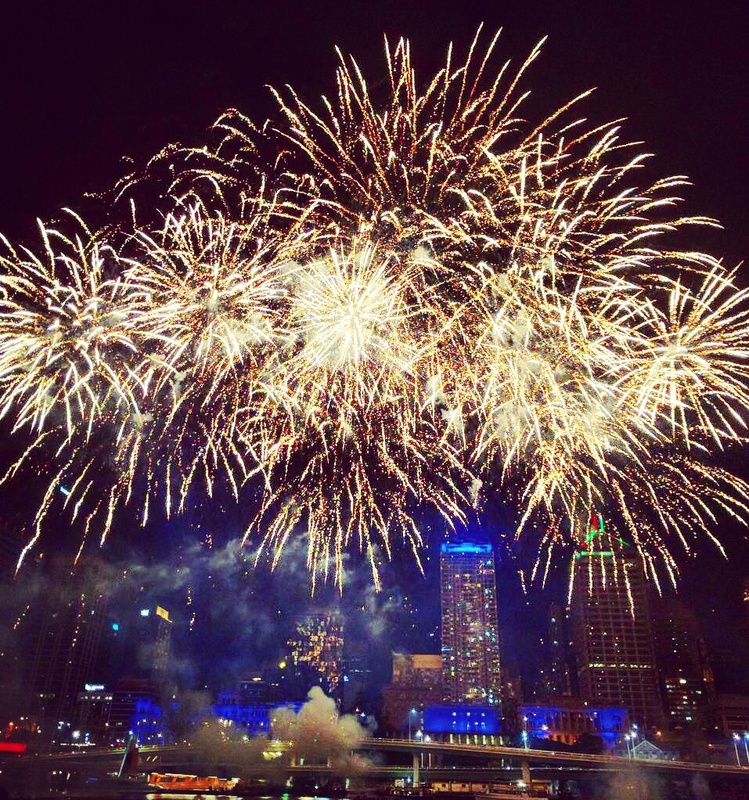 When you come up with New Year fireworks in Australia, Sydney may first pop up in your mind. 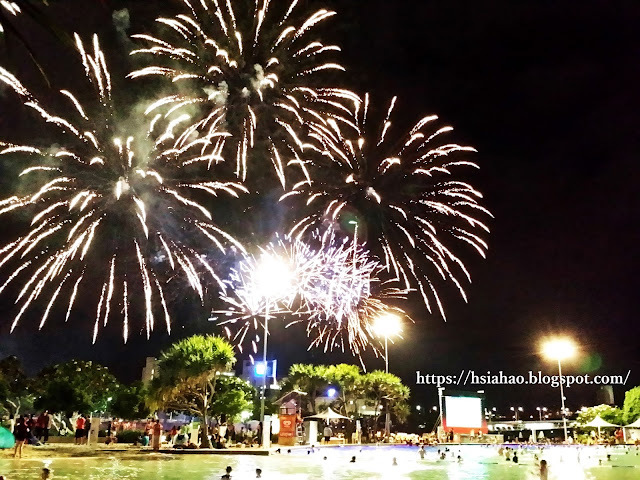 However, Brisbane’s New Year fireworks is also gorgeous and fascinating! You can also watch the outdoor movies at the side of Brisbane River when you are waiting for it. The most interesting schedule is that there are two parts of New Year fireworks, one is at 20:30 for “younger party-goers”, another is at 00:00 for “late-night revellers”. 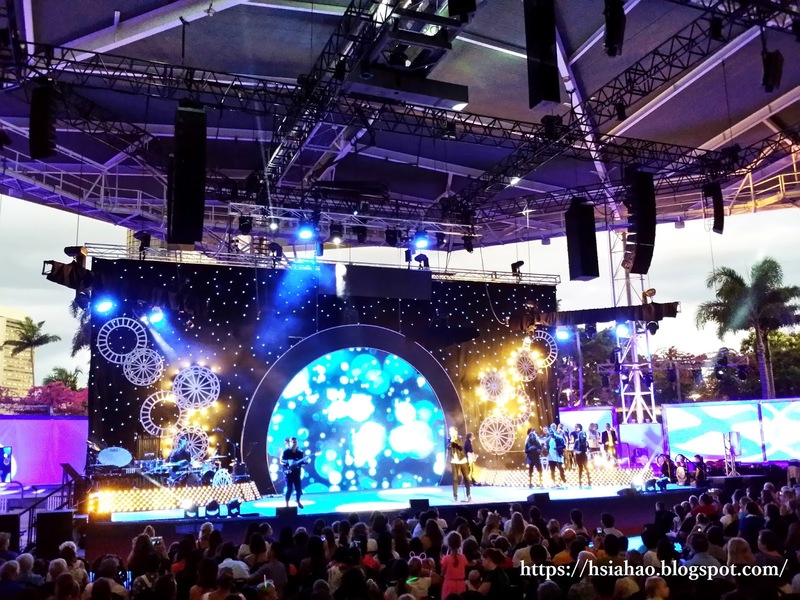 It is a considerate design for every generation to celebrate this special night! ♁Other：Because Australia faced some terrorism problems few years ago, everyone’s luggage would be checked or scanned before entering the park to make sure the safety for the public. Maybe it is the most crowded day of whole year for Brisbane. 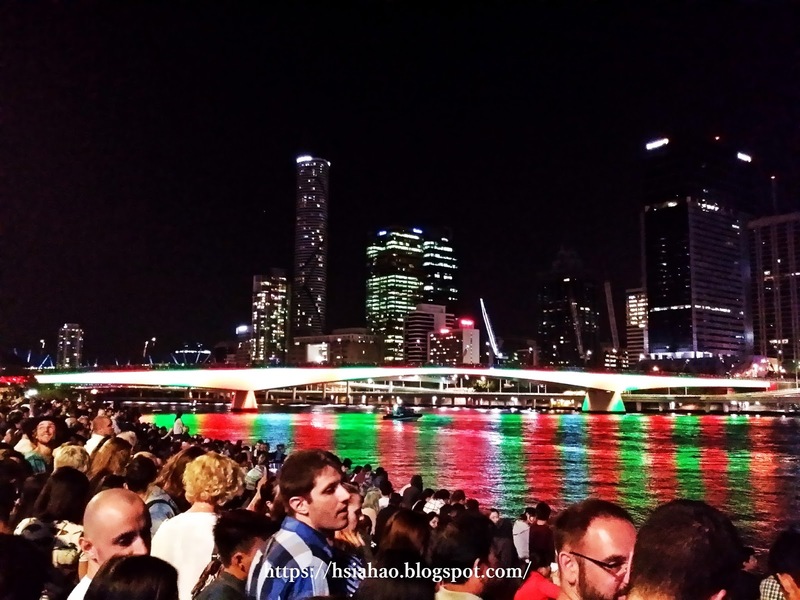 The New Year fireworks lasts approximately 9 minute, you can enjoy the fireworks with beautiful night view of city and river. 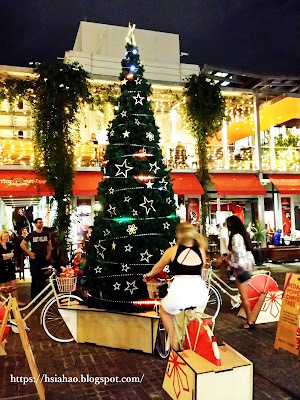 This is also my first time to experience the summer Christmas and New Year in Australia. I hope this article’s information is useful for every readers and may everyone be filled with love, friends, family, and beautiful blessings in the new year! !